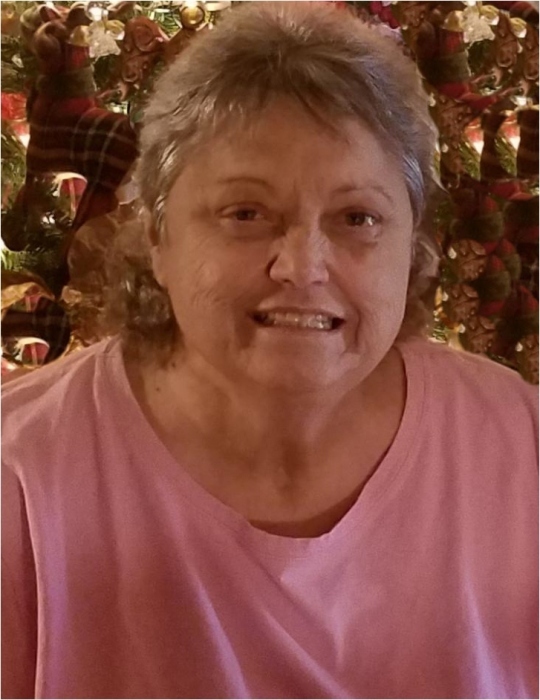 Mrs. Dixie Lee Mitchell Wilcoxson, 61 of Ewing, passed away Thursday May 31, 2018 at the Fleming County Hospital. She was born June 23, 1956 in Nicholas County, Kentucky to the late Elmer (Buddy) and Louise Fryman Mitchell. Besides her parents she was preceded in death by two grandsons Dustin Anthony Judge and Bradley Judge, one brother Ronnie Mitchell, four sisters Anna Bailey, Barbara Watkins, Connie Cox and Wanda Cox. Also, her mother and father-in-law, and two brother-in-laws. She enjoyed taking rides and going out to eat. Dixie is survived by her husband of 46 years Anthony (Wayne) Wilcoxson and a daughter Tonya Judge of Ewing. Four brothers, Larry (Sharon) Mitchell, Jackie Mitchell, Donnie (Crystal) Mitchell and Danny Mitchell. One sister Amy Mitchell Emmons all of Ewing. Also several nieces, nephews and great nieces and nephews. Funeral services will be conducted 11:00 A.M. Monday June 4, 2018 at the Pleasant Ridge Christian Church in Cowan, Kentucky with Brother Dean Brewer officiating. Burial will follow in the Pleasant Valley Community Cemetery. Visitation at the Pleasant Ridge Christian Church is after 5:00 P.M. Sunday June 3, 2018. Pall Bearers will be Leslie Gene Mitchell, Clarence Workman, Mike Watkins, Tony Watkins, Steve Kimes, and Joe Evans. In Lieu of flowers contributions are suggested to the National Kidney Foundation. Donate online www.kidney.org or envelopes will be available upon request at the Church. The Price Brothers Funeral Home in Elizaville is caring for all arrangements for Mrs. Dixie Lee Mitchell Wilcoxson.